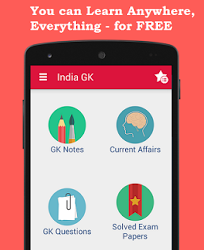 1st December 2017 Current Affairs MCQs, Quiz, Questions: Current Affairs for December 2017, Daily Multiple Choice Questions (MCQs) for India GK, World GK and current affairs with Collection of daily objective type Question by www.Indiagk.net based on General Knowledge (GK) and General Science (GS) Questions for UPSC, State PSC, SSC, Police exam, Railway exam, SBI, Bank PO, IBPC, SSC, LDC, UDC, Army, Airforce, Navy, Coast Guard, Bank Clerk, TET and all entrance examination with current affairs News, Multiple Choice Questions (MCQs) available on Website www.IndiaGK.net and Android Apps with daily updates:. How much amount has been sanctioned by the Union Government for the Global Centre for Security and Counter-Terrorism to be set up in Rajasthan? The combined military exercise “Ajeya Warrior- 2017” has started between India and which country? In order to support India to fight against Tuberculosis (TB), the USAID has announced monetary assistance of $_____ million. Name the winner of the 2017 World Weightlifting Championship in the 48 kg event held in Anaheim, USA.